Conquer city life in the reliable and versatile 2018 Toyota Prius c. Through a unique aerodynamic design with four-doors and seating for five, this surprisingly spacious vehicle equips you for a busy lifestyle. 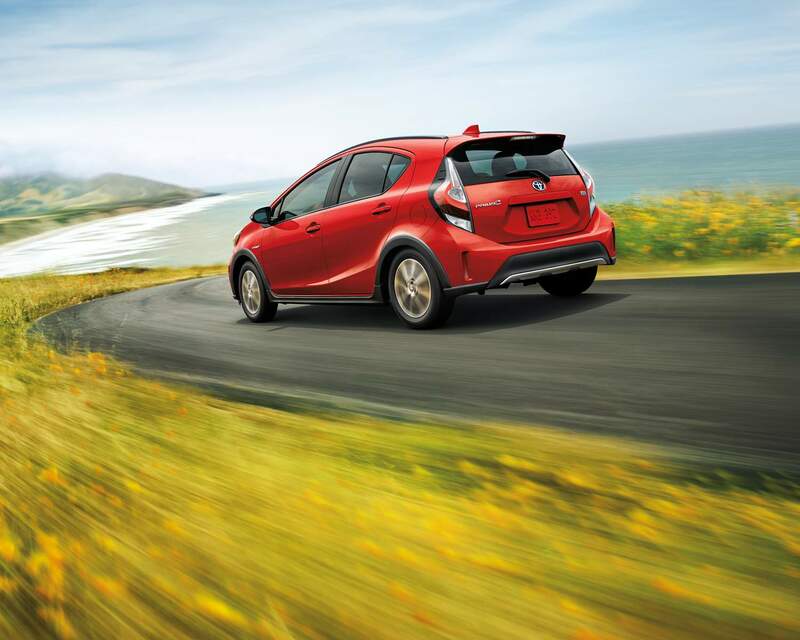 Available trim levels include the Prius c and Prius c Technology. Surround yourself with modern amenities and remarkable features in the 2018 Toyota Prius c. Increased innovation comes forward with smart key and push-button start, allowing you to access the cabin and start the engine without removing your keys from your pocket or purse. Relax during cold winter days on the available heated front seats as you grip the available synthetic leather-wrapped steering wheel and access your settings through the mounted controls.Bring along a variety of items as you utilize 484 L of cargo capacity. On the exterior, the 2018 Toyota Prius c stands out from the crowd through an all-new front fascia with a pronounced front grille. Featuring a wider base and sleeker roofline, you are able to cruise the streets with a reduced drag coefficient of 0.28. Brighten up the road ahead in a variety of weather conditions through the LED headlamps. 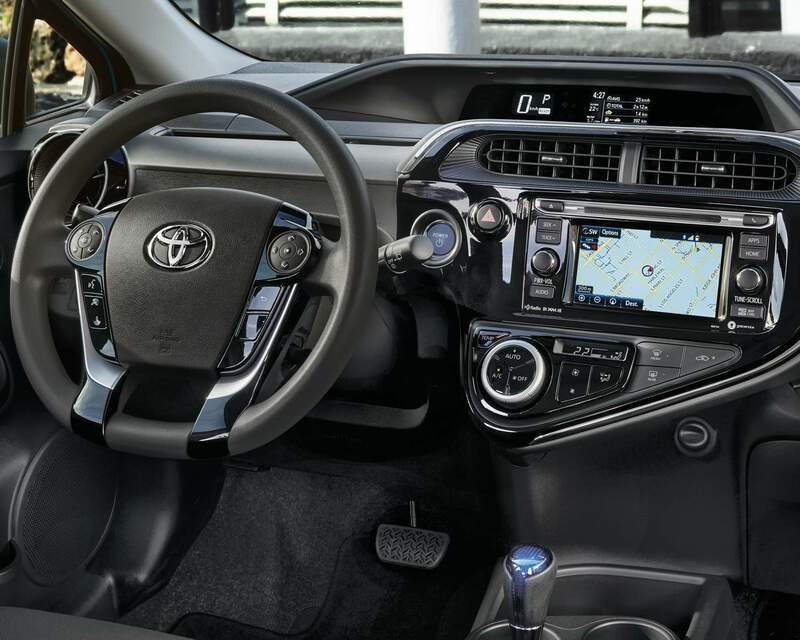 Communication and connectivity are delivered on the 2018 Toyota Prius c through a series of advanced technological features. Connect to your compatible devices through Bluetooth Capability and advanced Voice Recognition as the 6.1” display audio screen enables you to stream music, make calls and more without the use of your hands. 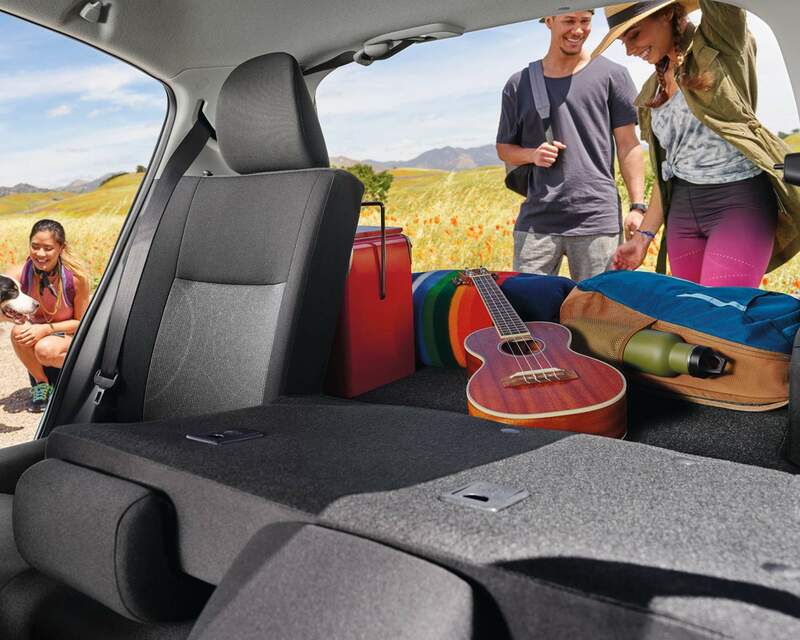 Make your 2018 Toyota Prius c your own through a selection of Genuine Toyota accessories. Keep your belongings secure and organized with the addition of a cargo net as a cargo liner helps to keep your interior clean and tidy. Furthering this interior protection are the available all-season floor mats, featuring sculpted channels that have been designed to trap water, mud, moisture, and debris. With impressive performance, the 2018 Toyota Prius c takes centre stage with an engine and hybrid battery that generate 99 Net horsepower. You can drive with freedom as you enjoy the city with a combined fuel consumption rating of 5.1 L/100 km. Enhanced acceleration and a smooth ride are offered through the Hybrid Synergy Drive as well as the innovative Continuously Variable Transmission. Some conditions apply. See Gateway Toyota for full details in Edmonton, AB, Canada. From city streets to weekends away, the 2018 Toyota Prius c is changing the way we view performance and efficiency. From its modern approach to design to its driver-centric layout, you will be looking for excuses to keep on driving. 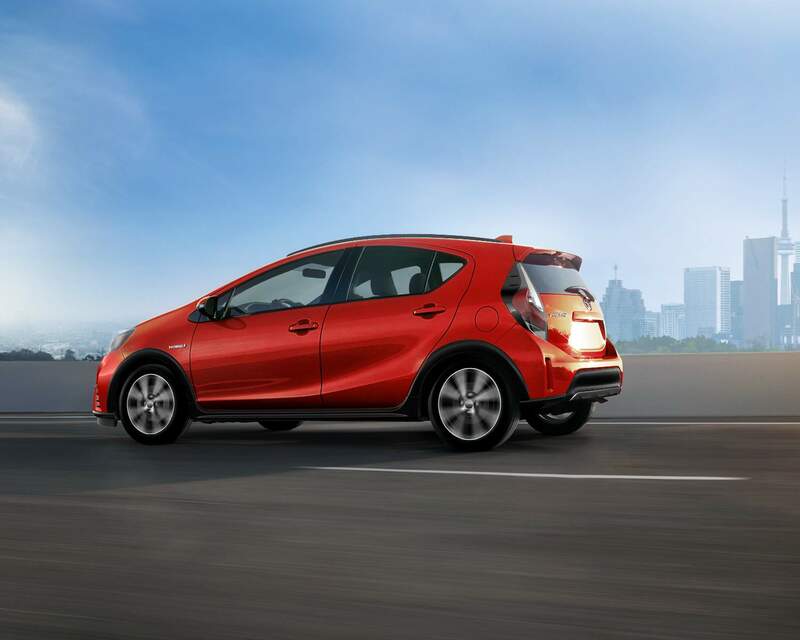 Check out the 2018 Toyota Prius c at your local Edmonton Toyota Dealer – Gateway Toyota. Through a team of dedicated professionals, Gateway Toyota is here to help you locate and finance the perfect vehicle for your lifestyle.